Continuing from the previous post, addressing McGrath’s comments on Doherty’s chapter 7. I have so often heard scholars repeat, as if it were a truism, that in pre-modern cultures that relied more on oral traditions and story-telling than on stick-it notes people had trained themselves to have remarkable memories. But I was obviously mistaken. McGrath informs us that if the news of the assassination of Kennedy (or let’s say Julius Caesar) were spread as “a tradition”, then by the time anyone came to write it down as a story, they would be obliged to invent a host of imaginary characters and variable settings simply to tell it as “a story”. Maybe some would say the assassination happened in Rome, others in Actium or Athens (or Dallas, or San Francisco). Such basic detail is not likely to have been included in the original oral transmission of the news, so McGrath would have us believe. McGrath actually equates the recovery of a fundamental geographic setting with the problems a story-teller would have in trying to imaginatively reconstruct story dialogue! On a more substantial underlying point, I have the strong impression that Doherty has given little thought to what is involved in turning a tradition into a narrative. We may start with a more recent example. If someone had information about the assassination of John F. Kennedy only by the means available in New Testament times – word of mouth – or even via newspapers, and they wanted to turn what they knew from such reports into a story – let’s say a movie – then imagine just how much dialogue, how many supporting characters, how many undocumented events the person would have to concoct in order to accomplish that. In the same way, imagine two authors who received a tradition like that in 1 Corinthians 15, and the different ways they might try to turn it into a story – for instance, we might find one setting an event in Jerusalem, the other setting the same event in Galilee, since the location wasn’t specified. That is in fact what we find in the Gospel Easter stories, and such huge discrepancies at such a major juncture can seem genuinely puzzling – until we realize that in passing on information, we do not always provide enough detail so as to enable the listener to later reproduce it as a narrative. This is one of the reasons why accounts of historical events need to be subjected to historical critical analysis, and why the discovery that many details may be authorial flourishes doesn’t mean that there may not at the same time be important kernels of historical information wrapped in them. Now for a major point of agreement between Doherty and myself. I think he is right that the author of the Letter to the Hebrews does not leave any room in his system of thought for a physical bodily resurrection of the sort that other New Testament writings envisage. The author of Hebrews has Jesus offer his sacrifice and take it into the celestial Holy of Holies to purify the sanctuary, so as to allow a holy God and impure humans to dwell together, as the Aaronic priest was commanded to do on the Day of Atonement. Envisaging Jesus offering his life as a sacrifice, waiting, picking up his body a couple of days later, and then heading to heaven to present his sacrificial death after he had ceased to be dead turns Hebrews’ already cumbersome system into one that is grotesque. The author’s Platonic outlook would fit well with a view of heaven that does not require or allow for an earthly or physical body to be brought there. Nevertheless, since the whole outlook of Hebrews is distinctive among the New Testament writings, I am inclined to view this as one Platonically-influenced author’s idiosyncratic take on Jesus, rather than an indication of the original worldview of Christians, from which the rest of the New Testament authors managed to drop the key distinctive elements. One would never suspect from McGrath’s lengthy discussion above that Doherty only writes four lines making this point about Hebrews in this chapter. Nor would they suspect that those four lines by Doherty are part of a chain of NT references making the very same point, and that in this particular respect — its suggestion that Jesus rose immediately to heaven after his death, without any concept of an earthly sojourn or appearances on earth to witnesses — Hebrews is one of several texts that indicate “most early Christian thinking” did not know anything about a resurrection on earth and before human witnesses. Most early Christian thinking seems to have envisioned Jesus ascending to Heaven immediately after his death. Scholars admit that the epistle writers show no concept of a bodily resurrection after three days, or of a period during which Jesus made appearances to human beings on earth. Such a blind spot would be difficult to conceive, if we accept the orthodox picture of a Christian movement which began in response to a perceived return of Jesus from the grave. Doherty proceeds to discuss 1 Peter 3:18-22, Ephesians 1:20 and Hebrews 10:12 & 13:20 to illustrate this point. McGrath has completely bypassed Doherty’s argument and attempted to derail it by addressing just one of the illustrations used by Doherty and arguing that it represented a solitary idiosyncratic view found nowhere else in the NT. Yes, Hebrews is different from other letters in the NT, and Doherty discusses this at length later in his book. But McGrath refuses to see that Doherty is here drawing attention to one point on which Hebrews is in agreement with other NT writings. Having finally found some pages (sic — as explained above this was only 4 lines of text) with some legitimate and helpful insights (as explained above, Doherty was actually demonstrating something quite different from the point McGrath tried to make), one might hope that the book is turning in a better direction. If you do so at this juncture, you will be disappointed, as I was. The next section discusses the references to Jesus “appearing” or “being seen,” and the likelihood that these refines are to visions rather than physical experiences. Doherty interacts with Eddy and Boyd, who point out that resurrection in Judaism meant something bodily. Doherty writes in response, “While the latter claim may be correct, such expectation lay within the context of resurrection for humans, not of a god – and of humans on earth, not of a god in a supernatural location” (p.77). A reader familiar with Jewish beliefs from this period – and with the act of reading – will most likely simply shake their head at this attempt to avoid the significance of contextual evidence rather than make sense of Paul in light of it. What god is Doherty referring to? What resurrection of non-humans from the dead? Where are these ideas found in Judaism? What is the evidence that such language would have been understood by Paul’s hearers in the way Doherty imagines? There is none, outside of Doherty’s own admittedly creative imagination. and the range of meanings of the Greek words used within the broader context of the epistle. So Doherty certainly does address the context of Paul’s words in any one passage by comparing it with similar expressions in all other passages in not only Paul’s letters but in other NT epistles as well. He shows that the mainstream Jewish view of a bodily resurrection is alien to all the related thought expressed in all the epistles, not just to something expressed in an isolated passage or two. He discusses at length the logic of the thought and argument — and syntactical structure — of the passage in 1 Corinthians 15:3-8, relates the meaning and words of Paul to what Paul says in other passages such as Galatians 1:11-12, the nature of Paul’s epistles as “occasional” writings dictated to a scribe and the relevance of this, the details of where Paul explains he is repeating what he had told his readers while he was once with them. What Doherty does here is to completely reverse the appropriate direction of reasoning. When we interpret an individual text, we look at its context and other texts from the same milieu in order to have a basis for determining the meaning of the individual text under discussion. Instead, Doherty determines what he wants Paul to mean, and then dismisses the counter-evidence by coming up with other possible meanings and references, no matter how contextually implausible, and using them to avoid the likely meaning of Paul’s words in his time and place. If we are allowed to just make stuff up, then Doherty is free to do so, but so are others, and there is no basis for him to criticize any other meanings that some might attribute to these texts. If, on the other hand, we take the accepted understanding of language, culture and communication, and think it is possible to determine what texts mean against the background of a particular linguistic, cultural and historical context, then Paul meant what the words he used meant in that time and place, unless he indicates otherwise, in which case Doherty is simply wrong and unwilling to admit it. But because Doherty has not committed himself to the norms of scholarly (or even typical human) textual analysis, Paul ends up meaning things that his contemporaries would not have understood, and evidence that the words Paul uses meant something other than what Doherty wishes them to will be met with seemingly infinite creativity. What I suspect McGrath is saying here in these two paragraphs is that his interpretation of Galatians 1:19 (Paul meeting the “brother of the Lord”) and Galatians 4:4 (Jesus being said to have been born of a woman) overthrows the entirety of Doherty’s arguments in these pages. So much so that McGrath simply refuses to address any of them except by means of the vague statements above. He does not even think it is worth informing his readers of his “review” what Doherty actual arguments are. The remainder of the chapter includes arguments that for Paul, the resurrection of Jesus was “a matter of faith, not of historical record as evidenced by eyewitness to a physical, risen Jesus at Easter” (p.79). Since Doherty has already accepted the argument of the Jesus Seminar and other scholars that the earliest “Easter experiences” were of a visionary sort, it is unclear why he thinks it would be persuasive to argue a point in relation to a more physical understanding of resurrection. The visionary nature of the experiences that persuaded those early Christians that Jesus had been raised from the dead is compatible with (and a result of some) mainstream scholarship, and so trying to pretend the point is not merely compatible with mythicism but somehow serves as an argument in it’s favor is disingenuous. That sentence I have highlighted must have been written very late at night and McGrath might like to withdraw it if brought to his attention. Doherty argues that the “easter experiences” were mystical and visionary, and that this is why Paul fails to argue for a physical understanding of the resurrection. Doherty argues that IF there been traditions of a physical resurrection then Paul would have argued for them in order to prove the “fact” of the resurrection. McGrath has complained that Doherty does not address mainstream scholarship. But when Doherty does do just that, McGrath complains that he finds the scholarly view compatible with his own theory of mythicism. McGrath thinks this is very bad of Doherty. What I think is worse, though unstated, is that while the scholarly view is said to be “compatible with” orthodox ideas of the resurrection, Doherty shows that the scholarly view is much more than “compatible with” mythicism — it directly and more simply points towards a mythicist interpretation. So McGrath pulls out the ad hominem card. Doherty’s repeated assertions that Paul did not depend on apostolic tradition perhaps shows how persuasive Paul’s apologetic for his own authority in Galatians is, but does nothing to make Doherty’s interpretation persuasive. Derivative tradition still works as a historical explanation, in a way that supernatural visions or divinely-guided revelations from Scripture, which supposedly led Paul and other apostles to the same Gospel, do not. 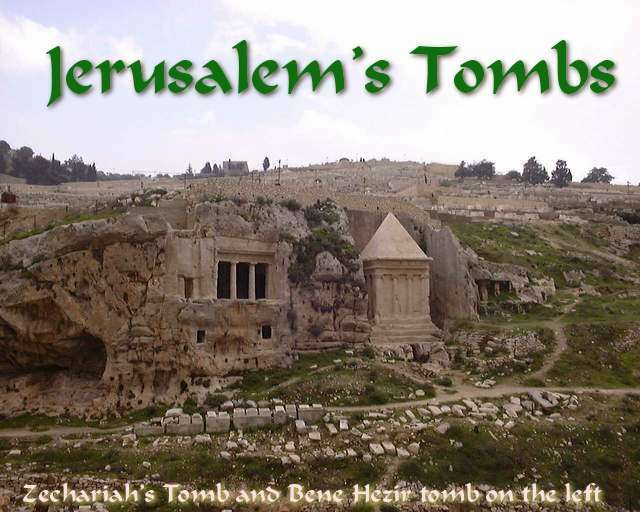 We know that ancient Jews and Gentiles honoured places associated their deceased loved ones, especially their tombs. Even the Gospels tell us as much. We know they reverenced sacred objects thought to have been associated with the gods, as we read even in Acts 19:35. Treasuring the sacred (time, space, objects) is probably a human universal. But McGrath and others have flippantly dismissed any suggestion that Paul and early Christians would have had any interest in any such things related to Jesus had such things existed. What is one to make of McGrath’s insinuation that only modern peoples attach importance to such things and that we should not impute our “modern” interest in relics, sacred places, etc. to the early Christians? And what is one to make of McGrath’s assertion (sic) that one should not make such comparisons without first studying relevant anthropological and sociological literature that shows the differences and similarities in the relevant cultures? McGrath’s vagueness is again a sure sign he knows of no such studies to support his argument here. And what does one say in response to McGrath’s attempt to overturn Doherty’s argument by saying that the NT letters lack “mythical stories” too! Hebrews certainly doesn’t, nor does Revelation. So does very early extra-canonical literature such as the Odes of Solomon and Ascension of Isaiah. But the “simple” story of God giving up his Son, of the Son submitting himself to death, and being resurrected and exalted, IS the central myth. Details were probably seen in visions, and McGrath would know scholars such as Segal have argued. Though simple, it is as powerful and life-changing a myth as is the concept of the Logos/Reason for the Stoics, as many moderns have found just by reading the epistles, and as Engberg-Pedersen explains. The chapter closes with some lame attempts at psychologizing, which may resonate with some Christians more than with others. Wouldn’t Paul have wanted to stand before the empty tomb? And having done so, wouldn’t he want to write about it to churches? Wouldn’t he want to carry around a crucifixion nail, boast of having it, and perhaps rub it on his epistles and then mention in the letter that he had done so? OK, I’m parodying what Doherty wrote in that last one, but you get the idea. Doherty should at least entertain the notion that the earliest Christians may not have held the same cultural norms and interests as those in the Middle Ages. But even if Doherty is right in his psychologizing, that doesn’t provide a reason for preferring mythicism to other possibilities. Let’s say Paul had a fragment of the true cross that he always carried with him. Why would he wait until some later time when he wrote to a group of Christians to boast about it? Why wouldn’t he mention it and even show it off to them on his first encounter with them? Even if Doherty has psychoanalyzed Paul and the other early Christians correctly with respect to the importance of pilgrimage sites and relics, there are plenty of non-mythicist scenarios which are no more speculative and no less plausible than the one he suggests. The possibility that belief that the end of history was drawing near might make pilgrimages and acquisition of relics seem less important is just one factor among many that ought to be considered. Since I have already made the point that it is reckless to expect ancient people to think and behave like modern ones, and to psychologize about them without at the very least studying anthropological and sociological studies relevant to possible differences between us and them, I won’t say more about that here. In this chapter, as elsewhere, Doherty keeps going on about the lack of tales of the historical Jesus in the epistles. He has yet to explain the absence of mythical tales. If we should expect stories in letters, we should expect them on both mythicist and historicists scenarios. If that is not a fair expectation, then their absence doesn’t tell against either one. This brings us to the end of Part Two of Doherty’s book, and so it may be time for another recap soon. Thus far, we have seen that there are some places where mythicism could work as an interpretative option, and others where it simply does not. In the latter instances, Doherty offers unconvincing, speculative, ad hoc arguments for why readers of his book should not follow the evidence where it more naturally leads. I hope that readers will see those for what they are, and choose to follow the evidence rather than Doherty’s imagination. Explaining away the total absence of any references of sacred sites or relics at all by suggesting that Paul had gotten all of that out of his system before he came to write any letters, or that the Christians were so looking forward to seeing Jesus come again that they had no interest in knowing anything about the site of his death, are not “ad hoc arguments”? Why is it only in the 4th century that pieces of the “true cross” begin to surface? Why is it left until Constantine to set up the first shrine on the supposed mount of Jesus’ death, and to begin the mania for pilgrimage to the holy sites that has persisted to this day? Why would someone in the first hundred years of the movement not have similarly sought to tread the same ground that the Son of God himself had recently walked on? The total absence of such things in the first hundred years of Christian correspondence is perhaps the single strongest argument for regarding the entire Gospel account of Jesus’ life and death as nothing but literary fabrication. Posted on 2011-06-04 17:21:11 GMT+0000 by Neil Godfrey. This entry was posted in Exchanges with McGrath, Paul and His Letters and tagged Doherty: Jesus God nor Man, Earl Doherty, James McGrath. Bookmark the permalink. He has yet to explain the absence of mythical tales. McGrath seems to be complaining that the epistles lack the inevitable mythical tales that would have grown up around a real Holy Man. Is there a reason why the Epistles lack the inevitable mythical tales that would have grown up around a real Holy Man? Perhaps McGrath can think of one, or ask a friend. Paul does have mythical tales, of course. Steven, is Paul’s ‘mythical tale’ fabricated to hide real original text? 1Cor.10.1 has:”our forefathers were all under the cloud”. The cloud was the Spirit. So the Israelites drank from the Spirit. The writer was saying that the Spirit has been around for a long time. LOL. Neil, I think you missed your calling. With your skills at making weak and unpersuasive arguments sound attractive and the competition sound incompetent, you could have made millions working in publicity/advertising. But alas, historians do use the same methods that academics in my field use (even mythicist Richard Carrier acknowledges this, and he’s the only mythicist I know of with a PhD in history). And the specific example I was talking about, the tradition of Easter “sightings” of Jesus, as found in 1 Corinthians 15, does not have geographical details, as I indicated. That doesn’t mean that geographical details could never have been included in principle. But it does indicate that important information could be passed on without a setting being specified. Doherty I expect would agree with me, since otherwise the lack of specific setting (“we believe in Christ crucified up on the firmament”) is a problem for him just as for everyone else. What I have done, James, is simply quote your assertions and compare them with the actual evidence. Your response is predictable: ridicule and insult. Do you have any reasoned arguments to overturn what I have demonstrated, though? You have failed dismally to respond to any of my past posts and challenges comparing what you call “historical method” with what historians do in nonbiblical fields. It was your colleague Scott McKnight who first alerted me to the ignorance of biblical scholars concerning how history is practiced in the rest of the world. I have built on Scott McKnight’s criticisms to demonstrate that what many biblical scholars call history is really the reverse of what other historians do: other historians seek to interpret verifiable facts, verifiable by means of external controls and literary analysis. You have only confirmed my criticisms by your embarrassing ignorance of historiography and the philosophy of history beyond biblical studies, and your failure to take up my challenges to respond to my detailed comparison of biblical and non-biblical historical methods and your totally missing the point when you finally discovered that Hobsbawm was not just a commie red out to undermine all decent historical values after all (which you will recall was your initial response). Now you typically attempt to avoid addressing the arguments by glibly appealing (once again) to authority (in this case Carrier). As for your attempt to use 1 Corinthians 15:5-8 to support your claim that oral transmission of, say, the assassination of Kennedy or Caesar would require a story teller to imaginatively concoct details of characters and locations. Well, it looks to me like that passage has come (orally) with a cast of characters most of whom were completely lost in all story-telling. In other words, the evidence we have is that such an “oral tradition” was not used as a basis for story telling at all. It sounds like you are saying that because the Gospel accounts and the information in 1 Corinthians 15 and the Gospels are not identical, there was no oral tradition connecting them. But oral tradition doesn’t preserve things precisely or statically. And without any oral or literary connection, it is difficult to account for the points of intersection and overlap. Ah yes, good old McGrath’s “sounds like you are saying” trick, again. Like the time I gave the testimony of a philosopher and a playwright as independent testimonies to Socrates in contrast to what Schweitzer said were the “one source” (“Christians”) of all testimonies to Jesus, and you said it “sounds like” I am saying we should trust philosophers and playwrights more than Christians. If this is not an avoidance game you are playing, it may have escaped your notice that I actually point to places where I (others, really — including your scholarly peers) do demonstrate literary connections to sources for the resurrection tales. As usual, Jim, you are trying to compare apples to turnips and claim that they are all the same. Since I hate the taste of turnips, I guess you think I ought to hate the taste of apples, too. …Versus geographical details concerning the “seeing” of the spiritual Christ by various people, all of them visions (as critical scholars now tend to evaluate them). What need or impulse would there have been—in comparison with details about the location of the very Son of God’s redemptive acts of dying and rising—for Paul to specify the geographical locations of these ‘convictions of Jesus’ presence’, when location was utterly unimportant and which oral tradition would hardly have had any conceivable reason or impulse to preserve and pass on? Since you can’t tell the difference between apples and turnips, remind me never to accept an invite to dinner at your place. Anyway, I’ll be back on the Matrix later tonight or tomorrow to comment further. I wouldn’t recommend James send an invitation without first hiding the good silver and any prescription meds. You seem to have a lot of inside information on what importances Paul would place on the acts of Jesus, so we should have no expectation of Paul mentioning where the resurrection appearance to 500 people would take place, no expectation of his discussing what sphere Jesus died in, but yet, we should definitely expect the location on Earth of his crucification. I would say you don’t know the difference between apples, turnips, or tennis balls, but who cares as long as they sell, right? Unless my memory is failing me in a senior moment, the sum total of all the resurrection “appearances” which Paul itemizes are contained in one passage: 1 Cor. 15:5-8. (9:1 is not really an item, but a passing appeal to the fact of his own vision). That paragraph is extremely tight-knit and is Paul ‘repeating’ his message previously delivered to the Corinthians, which included appealing to the fact that others besides himself had ‘seen’ the Lord (obviously an equating of his own vision with their visions). It would be ludicrous to expect that under those circumstances Paul would even think of inserting the geographical location of those visions; it was completely unimportant and irrelevant. He was anxious to get on to his paramount point in the rest of that chapter: convincing the Corinthians that resurrection was possible, and that Jesus’ spiritual body would serve as prototype for their own after resurrection. The references to Jesus’ rising (and death) would have been quite a different matter, had those events taken place on earth in recent memory. Look right in 1 Cor. 15:12-19. Paul’s point is that he and other apostles have witnessed to the resurrection of Christ. If this be taken to include in the sense of physical witness by Jesus’ followers, rather than of declaring one’s faith in it based on scripture (which, of course, it was), what more natural thing for Paul to do than to enrich that argument by enlarging on the event in terms of when and where it had taken place? How could he (or pseudo-Paul) have referred to a scene at the cross in Col 2:15 which involves the demons in a captive procession without thinking of resolving the anomaly of how such a scene was compatible with the event on Calvary? Why does Hebrews focus solely on a sacrifice in heaven and ignore any death on a hill outside Jerusalem? And so on. If you can’t see a difference between the two situations, then please don’t invite me to dinner either. I’m truly not fussy about parsnips in my fruit salad. And I don’t see why you think my prescription meds needs would be the same as Jim’s. Don’t you see mine as aimed at curing delusions and improving my eyesight to read texts? Note that in the above and previous posts I copied the entirety of McGrath’s arguments so readers can make up their own minds about the validity of my criticisms. It is a curious fact that some biblical scholars have opted to resort to insult and ridicule when their own words are copied and read back to them, along with a note pointing out either logical or factual errors in their statements. This is something that has happened a number of times, in relation to at least four biblical scholars, on this blog. By contrast, when some of those same biblical scholars write criticisms of mythicist arguments, they habitually tendentiously re-word, tell half-truths by selectively quoting, suppress and flatly contradict the arguments they claim to be criticizing. I could reproduce all of Doherty’s words, and it wouldn’t make his claims any more persuasive. Are you really failing to comprehend what I wrote or are you just pretending to be confused? Beautiful! Thank-you, Mike. You have in one paragraph demonstrated what has always been wrong with historicist scholarship, the colossal fallacy which is continually brought to the study of NT texts, and the utter closed-mindedness of the belief in an historical Jesus. We could paraphrase that: one can prove anything if one has complete freedom to claim any presumption/supposition which serves to beg the question and insert what the opponent has pointed out is missing or is contradicted. NT scholars have always taken that freedom. You’re in good company, Mike. And the worst part of it is, you haven’t a clue that this is completely fallacious, impermissible, and renders your arguments a joke. God’s promise…then the revelation of that promise in Paul’s gospel. How can Jesus be inserted between these two elements? You say: “We can presume Jesus’ actions are part of the promised hope of eternal life without disrupting the meaning of the sentence.” I agree that this is precisely what we should have expected the writer to say, so why doesn’t he say it? Why “presume” it and expect his readers to presume it? In any case, it would be incompatible with how he phrases the rest of his thought. God has now revealed his word through the preaching of Paul. I know its taxing, Mike, but can’t you see that if Jesus lived and preached in the intervening past since the time of God’s promise, then the ‘revealing’ of his word and promise would have taken place in Jesus himself and his preaching, not in that of Paul? Can’t you see that if the writer is using a phrase like “at the proper time” and applies it to the time of Paul, this leaves Jesus out in the cold? Who would NOT think of Jesus’ time and life’s work as “the proper time” at which God chose to reveal the fulfillment of his word and promise? You? The rest of traditional NT scholarship? Apparently so. No, Mike, it does NOT read “perfectly well if one supposes the hope of eternal life was accomplished by some action in time on the part of Jesus.” To paraphrase an analogy in my book: If a writer notes that it had been predicted in the year 1900 that Britain and Germany would one day be at war, and the writer says that this prediction had finally come true in 1939 when Hitler and Churchill led their countries to war, where does that leave the First World War in 1914, which any sane person would regard as the fulfillment of the 1900 prophecy? Does simply inserting it by means of “presumption” render the statement sensible? I’d hate to see you let loose in a logic class, Mike. By no consideration of common sense or how language is used in the human brain can you legitimately claim that we can blithely insert a human Jesus into the non-existent gap between the two elements of this statement in Titus. But it is a tribute to the ability of the otherwise intelligent human mind to be able to perform and accept this kind of fallacious feat when the demands of preconception and personal needs or religious belief override logic. You say: “I don’t think this line has been a source of any particular trouble for commentators.” No, I don’t think it has, because they have always been as adept as you are at closing their minds to the clear implications of what a text actually says and doesn’t say, preferring to read the Gospels into the epistles no matter what disruption that involves. Is this the sort of methodology Jim means when he refers to his much-vaunted “historical criticism/method”? Is the rejection of such fallacious and self-serving methods the sort of thing he means when he calls mythicists charlatans and nut-cases?